Sometimes all you need is a single shot of a stunning subject to create a compelling video. That is certainly the case with this forty-second clip of Turkey's Ayasofya Mosque and Museum by Semih Berk. Originally a Greek Orthodox Cathedral, later an Ottoman Mosque, it is the epitome of Byzantine architecture and is said to have "changed the history of architecture." 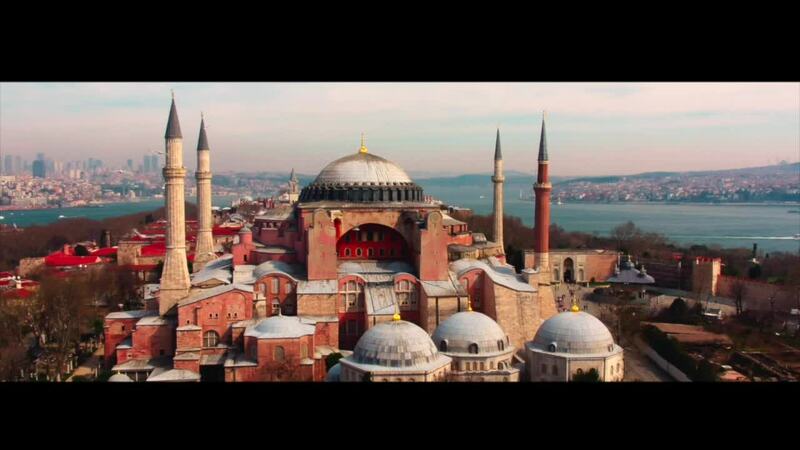 Hagia Sophia it is famous for its massive, beautiful dome easily seen in this video by Semih Berk.